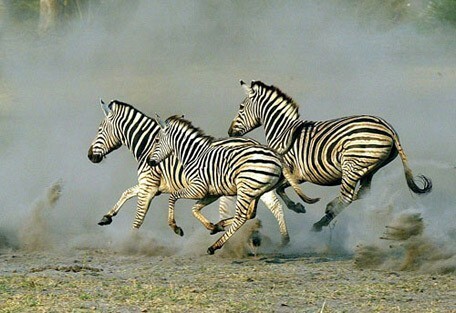 The Moremi Game Reserve falls within the tribal land of the Batswana and rates as one of the leading wildlife areas of the world. The mosaic of grasslands, floodplains, forests and lily lagoons combine to form a perfectly constructed puzzle, in which animals wander as they please. 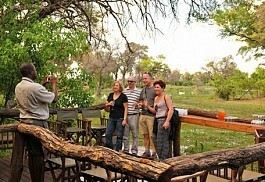 Visitors can enjoy a Big 5 Safari tour in the Moremi. The Moremi Game Reserve is situated north-east of Maun in the Okavango Delta and covers nearly 5000 sq km, approximately 30% of the Okavango Delta. The habitats vary from open grasslands, isolated island sanctuaries and papyrus-fringed channels to low sandy islands and dry land on which wildlife and plants thrive. The most prominent of Moremi's several distinctive components is Chief's Island, an enormous game-rich expanse of forest and savanna between the Boro and Santantadibe rivers to the west. Roughly 1,000 sq km in size, it is the largest expanse of solid ground within the Okavango Delta. A safari to Moremi Game reserve will give safari goers a ring side seat to all the action that can be found on a Big 5 safari. There are no fences around the reserve, allowing the animals to migrate freely to and from the Chobe Park to the north. Massive tracts of pristine parkland and privacy can be found here, encountered in very few places in Africa. 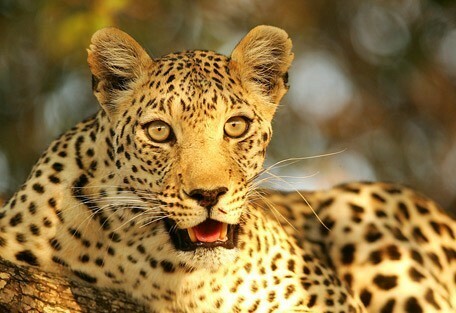 The limited amount of guests plays a major role in the reserve's exclusivity and the preservation of its biodiversity. 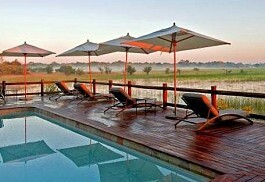 The Moremi Game Reserve is located within the greater expanse of the Okavango Delta wetland. 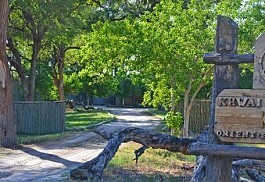 It's most renowned area is at Chief's Island where a number of superb lodges and camps are located. Moremi Game Reserve camps in the Xakanaxa area as well as those on Chief's Island offer excellent year-round game viewing, but we recommend a combination with a "water" camp in the private concessions in order for guests to get a more complete experience of the Okavango Delta. The Moremi is home to a permanent water source, which makes it a fantastic place for game viewing during the dry season when the animals flock to the rivers to drink. The Moremi has been the location for the conservation of and research on the endangere African wild dog. It remains one of the best places to view this predator. Khwai Bush Camp is a family-friendly classic safari camp in the exclusive Khwai area of the Okavango Delta that caters specifically for children of all ages and offers special activities for kids, while adults can indulge in game drives and walks. 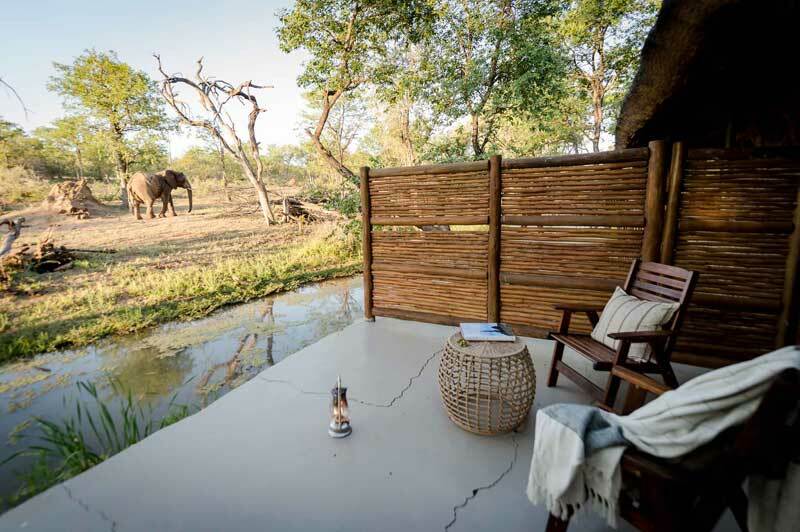 This thatched, private, family accommodation is a new addition to the recently opened Khwai Tented Camp and is set on the banks of a lagoon flowing into the Khwai River in the Moremi Game Reserve in Botswana. 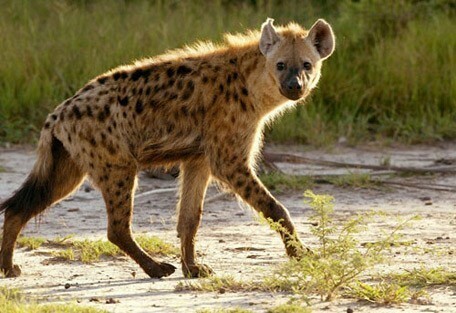 Hyena Pan is located in the Khwai Private Reserve, bordering Chobe National Park and Moremi Game Reserve, and is a rehabilitated wildlife area now dedicated to conservation. 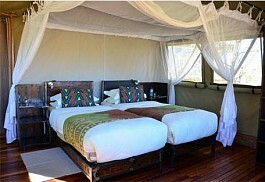 The area is inundated with wildlife and the camp is simple, positioned overlooking an active waterhole. 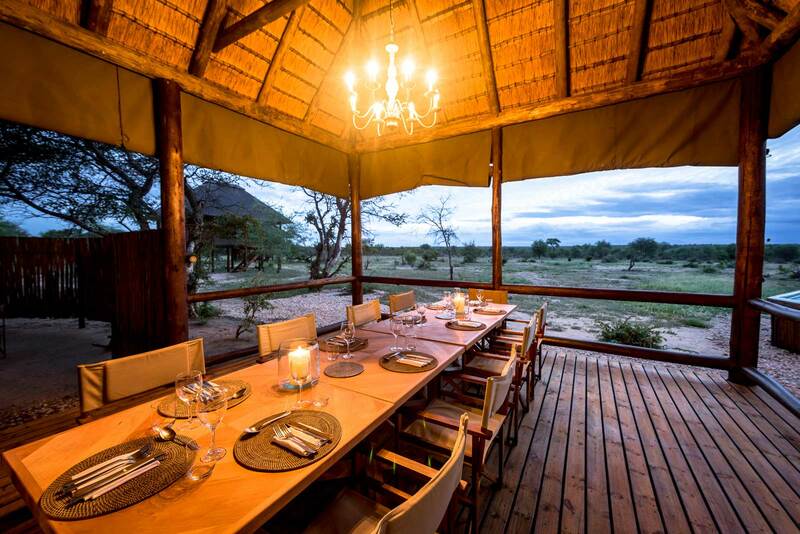 Tuskers Bush Camp is a rustic-chic tented safari lodge in its own 365 000-hectare private conservancy nestled between Botswana’s Nxai Pan in the east and Moremi in the west. 6 Tents in total and a view overlooking an active pan. 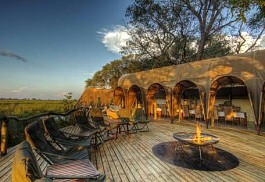 Skybeds is a dream come true for the adventuring, nature-loving, star-gazing Botswana travellers. A 3-bed camp in Khwai Private Reserve offers the ultimate outdoor sleeping experience with creature comforts and excellent game viewing. 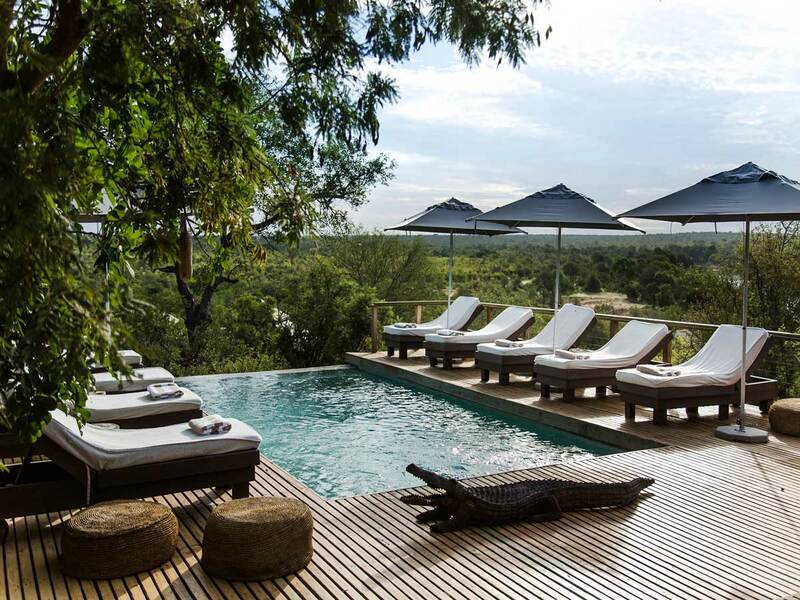 Nokanyana opened its doors in 2018 as new family-friendly luxury tented accommodation in the Khwai Concession bordering Moremi Game Reserve where the presence of wildlife is abundant all year round. Idyllically located in the Khwai region of Moremi Game Reserve in the Okavango Delta, Saguni Safari Lodge hugs the gentle bend of the Mbudi Lagoon, welcoming an abundance of wetland-loving wildlife right to the vicinity of the tented lodge. The vast numbers and diversity of wildlife found in this area all year round is magnificent, from herds of buffalo to tiny steenbok. Elephant, impala, spotted hyaena, lion, leopard and cheetah are all found here, plus, small predators like serval and side-striped jackal are occasionally seen. Birdlife is prolific, with water birds like African Jacana, Pygmy-Goose, Goliath Heron, as well as migrant waders in summer, which are particularly common. When the masses of water arrives in the area between March and May each year, large mammals are able to move into the Chief's Island area. The wetlands are fringed by large hardwood trees, containing shade, cover, nesting areas, and food, for a wide variety of mammals and birds. By September and October the wetlands have started to recede leaving behind vast floodplains of short, green grass when the rest of the large islands are at their driest. 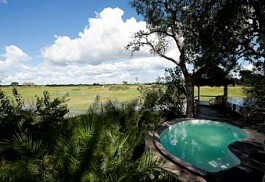 Moremi Game Reserve is a permanent water source in the Okavango Delta. During the dry, winter season, which lasts from April to October, the lack of water elsewhere means that the wildlife flocks to the rivers in the Moremi, making game viewing a fantastic experience. October is considered the hottest month, when temperatures can exceed 40 degrees Celcius, but it is also known as one of the best times to travel for game viewing purposes. The rainy season begins in November and lasts until March. These are the summer months, and despite the rain, the temperatures are hot. This season, depending on the rainfall, can render some areas of the Moremi inaccessible, as water levels rise and floods occur. The herbivorous animals always give birth in the rainy season, when there is plenty to eat and drink, and being a visitor during the calving season will prove a memorable game-watching experience. 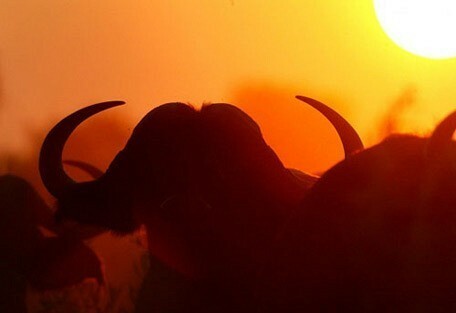 The Moremi Game Reserve offers extremely productive year-round game viewing safaris. Mombo Camp is a very luxurious safari camp located on Chiefs Island and is widely considered to offer the best game viewing in Africa. 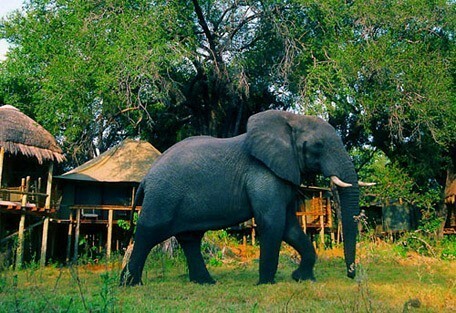 Camp Moremi is located near Xakanaxa and is one of our favourite affordable camps. 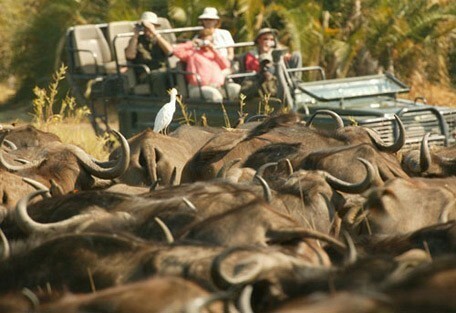 Guests enjoy regular predator sightings, while game viewing via motorboat offers a safari from a different perspective. 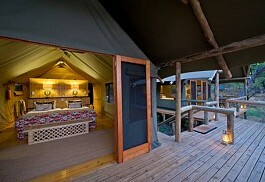 Khwai Tented Camp is a rustic, traditional safari camp, ideal for those guests wanting to get closer to nature. This is a mobile camp that relocates according to game movements and water levels. 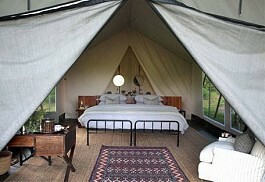 Machaba Camp is a luxury tented camp positioned on Khwai River. Eight tents and 2 Family tents are nestled among the trees, enjoying one of the best game viewing locations in Botswana. Sun Safaris will arrange for guests to fly from South Africa (OR Tambo International Airport) to Maun, which is Botswana's safari capital. 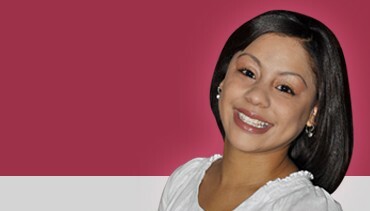 Maun is the centre point for all safari comings and goings in the country. 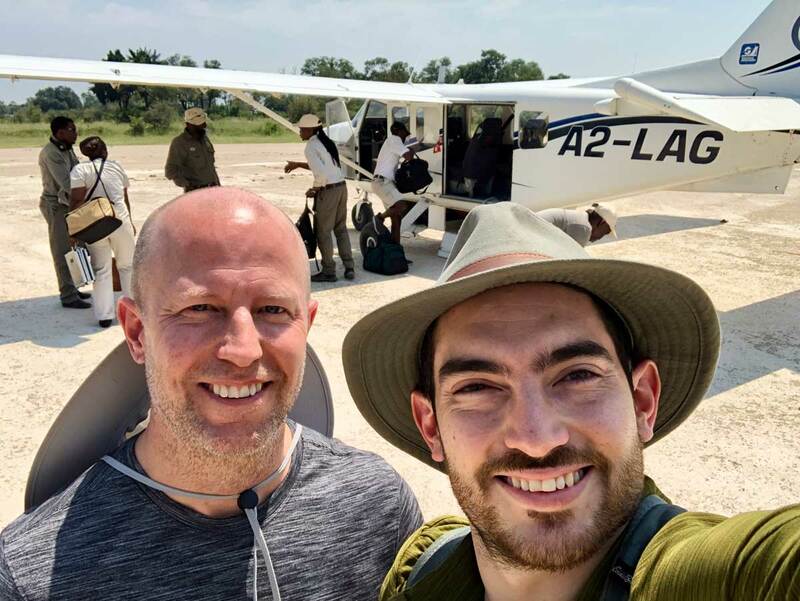 Guests visiting the Moremi Game Reserve on safari will connect with a scheduled air transfer or road transfer, organised by their Sun Safaris agent, to their safari destination in the Moremi Game Reserve. It is an area of permanent water and depending on the amount of rainfall, some camps or lodges are only accessible by air or by boat. 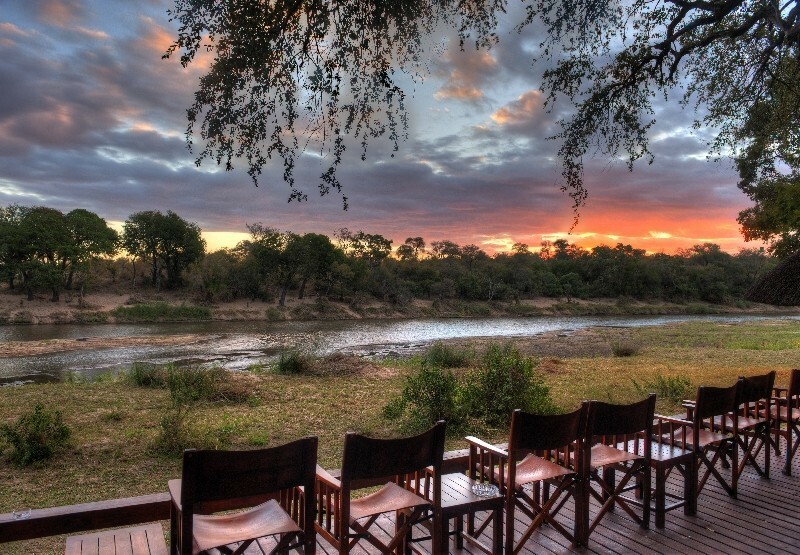 The transfers between camps could be considered game drives, as the routes taken go through Moremi's wildlife areas.